Resume Genius is a highly reviewed, US based industry leader in resume services, having been in operation since 2008. Over the years we have helped tens of thousands of job seekers improve their resume, enabling them to make the next step in their life path. Typically, some of the poorest resumes we see come from students. With little to no professional experience, these candidates often struggle to construct a meaningful and detailed document that will help them transition into a career, post academia. Our scholarship program is designed to get the student population of the US thinking about resumes at an early stage, ensuring they have practice in this essential area of career progression, before they head into the vocational world. Every December, we are offering a $1,000 scholarship to the student who can create the best resume, based on the life of any fictional or non-fictional character, from TV, history, literature or myth. Create a resume based on the life of any fictional or non-fictional character, from TV, history, literature or myth. The resume SHOULD NOT be about yourself. Again, do NOT make a resume about your own experiences. Resumes should be no longer than two pages. All applications will receive a confirmation email upon receipt on our end. 2. All applicants must be enrolled, or due to be enrolled, in full-time university education for the semester they are applying to receive the scholarship fund. Applications received from January 1, 2017 – December 15, 2017 will eligible to receive scholarship funds for Spring 2018 semester. Applications received from January 1, 2018 – December 15, 2018 will eligible to receive scholarship funds for Spring 2019 semester. We are looking forward to reading your resume sample! Good Luck! I have a question. Would it be possible to write a resume for a fictional character that I have created to use for stories or roleplaying purposes? I really want to write it for her, but want to make sure this would be alright. Applying for the scholarship with a fictional character is perfectly acceptable. We look forward to reading it! Hi, does the resume required for the scholarship need to be serious or can it be humurous? Of course! Check out a few examples from last year: https://resumegenius.com/spring-2015-rg-scholarship-finalists-winner. We look forward to seeing your submission! Is this scholarship separate from the resume companion scholarship? I would hate to be disqualified because I applied to both. Hell Nicole! Thanks for contacting us. Those scholarships are indeed completely separate so don’t worry about it. Good luck! Am I allowed to use a different style font? The character I chose is older so I was going to use typewriter font. Feel free to use any font that you feel works best with your resume. Is this scholarship open to graduate students? Is there a maximum age? Yes, our scholarship is open to graduate students. Also, there is no maximum age to be eligible. We look forward to seeing your submission! Are students attending community colleges allowed to participate? Yes, as long as you are a full-time student. Looking forward to your submission. if I am a high school junior am I still allowed to participate? Unfortunately, you are not eligible this year. However, we welcome you to apply next year. Good luck! Exactly what is this scholarship community looking for in a winner entry? If we choose to do non fictional people do we need to cite reference for information/facts? I will be starting my senior year of high school in August. I know I will be receiving responses to my college applications between January and April. I am unsure of whether I am eligible to apply for this scholarship. Unfortunately if you are not attending college in the Spring semester of 2016, then you are not eligible for this scholarship round. However you are welcome to try next year. Good luck! Hello, I’m a rising senior who is interested in this scholarship, I plan to enter college in the fall semester of 2016, when should I submit my application? You are eligible for our Spring 2016 Scholarship. The last day that you can apply is December 15, 2015. We look forward to seeing your application. How long does it take to receive the email confirming that you guys received my resume for the scholarship opportunity? We have received your application. We apologize that you did not receive a reply. Good luck! I sent out my resume, but I never got an E-mail back. Should I be worried it wasn’t received? I sent out my resume and never got a response. Did I do it incorrectly? We have received your application. Apologies for not sending you a response. Good luck! I never got a response for my entry as well. Can you confirm that you received it as well? We have received your application. Good luck! For the Fall 2015 scholarship, when should we expect the winners to be announced? Thank you in advance! We offer our scholarship during the Spring semester. The winner will be announced at the end of December. Hi, I assume we aren’t going to get an email response? Just in case, my first name is Philip and the application was sent on July 8. We have fixed the issues with our email confirmations. We can also confirm that we have received your application. Hi, are we allowed to use your resume builder in order to build the resume? Feel free to download one of our free resume templates here: https://resumegenius.com/resume/resume-templates. Hi. I am a high school junior who is enrolled and will be attending college full time this fall as a PSEO student. Am I eligible for this scholarship? As long as you are a full-time student during the Spring 2016 semester, you are welcome to apply. I applied for the Fall 2015 scholarship and I havent been able to find the winners. So have you selected the winners yet or is it still in processing ? As we mentioned above, we are accepting applications up until December 15. We will notify the winner at the end of December. Hey, I read that you were having difficulties with the confirmation emails. I was wondering if you received my Resume. My name is Ashton, I submitted it July 13th. Yes, we have received your resume. Good luck! Hi! I was wondering if you can send more than one resume. Also, I was wondering if I am eligible for this scholarship. I am currently a senior and I will be graduation in 2016. We only accept one resume per applicant. Good luck! Yes, you have to be a full-time student in order to be eligible. Hi, I just came across this scholarship. I was wondering if the college has to be regionally accredited or not. I’ll be attending Full Sail University which is nationally accredited. Thanks in advance for the reply. Yest, you are eligible to apply. We look forward to seeing what you come up with. Hello, I was wondering if I would be eligible for the scholarship. I am attending Mid-State Technical College. Part time student this semester, but will be a full time student during the spring semester. Thank you! To be eligible for the scholarship, you must be a full-time student for the semester you are applying to receive the fund. Looking forward to your application. I sent my resume about a week ago. Then, I noticed that I mistakenly sent you a draft. Even though I sent you the wrong document, I managed to send you the actual PDF File that was finished right after. I just want to make sure that you received my document. Yes, we have the finished version of your resume submission. Good luck! It says “university education”. I attend a community college. Would I qualify for this scholarship? Yes, you qualify for our scholarship. Good luck! Hello, I’m currently not in college but I have graduated from high school and will still apply for college for fall semester of 2016. Am I eligible to enter? Thank you! If you are a full time student for the 2017 Spring semester, then you are eligible. Good luck with the college applications! Hello i sent an e-mail but forgot to attach the the resume. I resent an e-mail with the document attached. I would like to make sure my entry was received. In the description it says that applicants would be able to create a resume for fiction characters from T.V. or literature. Are we allowed to use any characters, irrelevant of copyrights and not owning the character? Yes, you are allowed to use fictional characters from T.V. or literature. Best of Luck! Hello, I’m currently a high school senior but won’t be attending college until the fall semester of 2016. Am I still legible for this scholarship? Unfortunately, you are not eligible this year, but please send us your application next year. Hi, I am interested but I am looking into covering my fall 2016 school year finances, when i hope to be a transfer student at SDSU. Will this be eligeble for that school year and semester? We only award this scholarship in the Spring. Feel free to apply next year for the Spring 2017 semester. I am currently a part- time student for the fall 2015 semester, but will become a full- time student in the spring 2016 semester. Am I eligible for this scholarship? Yes, if you will be a full-time student in the Spring, then you are eligible for the scholarship. Good luck! The winner will be announced at the end of December. Hello, the requirements say that the resume should be on a character from myth, history, literature, or TV. Would an artist or musician count if he or she made an impact on history and the music industry? Yes, feel to write a resume for your favorite musical artist. We look forward to seeing it! Does the resume have to be admirable to prospective employers or simply honest about the character’s experiences? We are looking for resumes that are creative, but would also be appealing to employers. Good luck! How will I know if someone has won? We will be announcing the winner within the next two weeks. We have a ton of resumes to go though. Thanks for your patience. Is the deadline still December 15th 2015? That’s right. We look forward to your submission! I am an adult (graduate), took a break from work life for personal reasons and am now enrolled in a professional course at an accredited university, to improve my job prospects. Is this scholarship open to such continuing-education-applicants? You must be a full-time student in order to apply. Do you require any sources? No sources necessary. Good luck! When can I submit an application for the fall 2016 semester? We only award our scholarship in the Spring. Does the resume have to include include jobs a person has done on more like a biography as resume format? Hello, I sent my resume on December 12, but didn’t receive an email confirmation. I just want to make sure you received it. Thank you! Should the resume be written in first or third person? That depends on you and the character you have chosen. Good luck! I submitted a resume, but later received an email that my attachment failed to attach. I re-sent the email with a brief explanation of what happened. Will this disqualify me since it is now past the due date? No, you have not been disqualified. Good luck! Where and when will the winners get announced? The winner will be announced on Twitter by the end of the week. Good luck! Yes, the winner was announced on Twitter last week. I have a quick question. I know the winner has been already announced. When are you going to announce the runner ups? Are you still deciding on it? Thanks! This year the runners up will not be announced. Will the spring 2017 contest be open soon? Yes, the application period is now open for Spring 2017. I was wondering when the results come out for the Dec 2015 applications? The results were announced on Twitter a few weeks ago. I sent in an entry for the scholarship. I have not received confirmation of my submission. No worries, we have received it. Have a great semester! How many resumes can you make? You are allowed one submission per semester. Good luck! I am attending a community college. can I still apply? As long as you are a full time student, you can apply. Good luck! Are graduate students eligible for this award? Yes, graduate students are eligible as long as they are full time students. A website called resume companion has the exact same scholarship going on and you guys both have the exact same scholarship description. Are you guys working together? I am going to be a senior in August 2016, am I eligible for this scholarship? If you are enrolled as a full time student for the Spring 2017 semester, then you are eligible. Good luck! Yes, that is acceptable. Good luck! I am in the Military but will be enrolling into college after I end my service in November, 2016. Am I eligible? If you are enrolled in the 2017 Spring semester, then you are eligible. Thank you for your service! I am in the process of writing the resume for my character and I chose a kind of witty, funny character and I was wondering if the resume has to be professional or can I bring some of character to the page. Feel free to get creative! Good luck. This is an amazing scholarship. Thank for allowing this creativity! Look forward to my submission. When will the winner for Spring 2017 be announced and will the winner be contracted by email? The winner will be announced on Twitter at the end of the week. Good luck! I’m going to be entering college in Fall 2018. Does that mean I apply for the Spring 2019 scholarship? If so, when will that be open? Since the scholarship is for the spring semester of each year, you’ll need to apply for the Spring 2019 scholarship (which you can do at any point in 2018 until December 15th, the cutoff date). Good luck! Can the scholarship be applied toward an internship for the spring term? Is there a minimum requirement of credits to take in order to receive the scholarship? You need to be a full-time student during the term you’re applying for in order to be eligible for the scholarship. Credit requirements vary based on the institution. Hope that helps! Do you want us to write the cover letter for the character too? The resume alone is fine. Thanks! Hi, What is info- graphic format? Do you have an example? Google has you covered – an infographic resume format would be something more visual, and here are some good examples. Hi is the scholarship oppened to students outisde of the USA? Here are the rules for eligibility (which you can find on the page if you’d like further clarification): 1. Staff at Resume Genius remember the hardship of being a student so want to make this scholarship available to as many students as possible! As such, we do not require any sort of minimum GPA, and both domestic and international students may apply. Good luck with your scholarship application! To clarify – yes, students outside of the U.S. are welcome to apply. or students ready to transfer to attend a university in 2018? If you’re enrolled in a community college or a university, you’re eligible for the scholarship. Make sure you specify your situation when sending in your application. Good luck! Is this only for undergraduates or can graduate/medical students apply for this as well? As long as you can prove you’re a full-time student, you are free to apply. That applies to undergrads, graduate students and medical students. Good luck! Where the requirements say enrolled “Full Time” are you addressing being enrolled for 12 or more credit hours? “Full time enrollment” varies from school to school, but generally 12 or more credit hours is considered full time for a university student. I will be enrolling in a one-year graduate program that begins summer 2018 – is this eligible for current application cycle, or do I need to wait for the Spring 2019 semester? Unfortunately, you will have to wait for the Spring 2019 cycle. Good luck with your studies! Can I apply if I will be enrolled as master student? As long as you’re enrolled as a full-time student you can apply! Whether it be undergraduate, masters, or doctorate. Good luck! Is a cover letter to go along with the resume required, recommended, or simply not considered by the adjudicators? A cover letter is not required, but we won’t stop you from submitting one! Just keep in mind that the primary focus will still be on the resume. Good luck! Can you apply for the scholarship as highschool student or is this limited to only university students? As long as you have already been accepted into University you can still apply for the scholarship as a high school senior. Good luck! Are we supposed to use Resume Genius to write the resume? You’re free to use any of the guides and other resources on Resume Genius to help write your submission. The links at the bottom of the scholarship page are particularly useful! If you’re asking whether or not you should be using our builder to write the resume, the answer is no, you need to write it yourself. Good luck! Can I be enrolled in a technical college and still apply? Yes you can! Any type of higher education is acceptable. Good luck! Will you be announcing the winner for 2017 through Twitter again? Or through Facebook or email? Like last year, the winner will be announced through Twitter. When will the winner for Fall 2017 be announced and will the winner be contracted by email? The winner will be announced before the end of January. Whoever wins will be contacted by email with further details about receiving the scholarship. Keep an eye on your inbox! When will you be announcing the scholarship winner for January 1, 2017 – December 15, 2017? The winner will be announced within the next couple of weeks. Keep an eye on our Twitter! is the scholarship open for 2018? Yes, the 2018 scholarship is open for submissions. Just keep in mind the scholarship will actually be for the 2019 spring semester. I was wondering if I could use a character I created for a short story I wrote? Hi! I was wondering if you have this scholarship available for the fall semester as well? And if so, when is the deadline? Unfortunately, our scholarship is only available for the spring semester. We hope you will still consider applying though! Unfortunately, the character has to be someone other people would recognize. We hope you’ll still apply though! I was wondering if this is only available for undergrad students, or if grad students could apply as well? Additionally, how recognizable does this character have to be? Does it have to be specific to North American culture or can characters derive from other countries such as Japanese anime characters, for instance? Graduate students are also welcome to apply! Also, the character can be anyone as long as it’s not something you made up – anime characters are perfectly acceptable. I’m really trying to comprehend this. Doing the resume, we pick this particular character and the things that go on a resume should be made up? Should the information on the resume be facts from the show or made up ( like our ideas or what we want them to be)? We make them sound how we want them? Do you guys have an example you can do? You can basically do whatever you want so feel free to get creative. 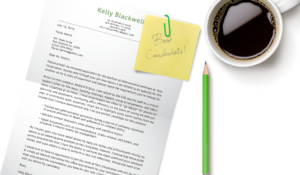 The only requirement is a well-written, well-formatted resume – even if the contents are completely made up. Hope to see your submission soon! Hi, I was wondering can characters from video games be used. Yes, characters from video games are acceptable. Looking forward to your submission! Should the resume fit on one page? Yes, ideally the resume should only be one page. If you have some kind of crazy cool and creative idea for a resume that’s over one page, however, don’t be afraid to get adventurous! Can this be humorous or must it be serious? It can definitely be humorous, just make sure that it’s still a well-written resume. When are the results for spring 2018 posted? We are hard at work choosing a winner for the scholarship at the moment. We will announce the winner soon! Is it going to be available this year? The Resume Genius Annual Scholarship will be available this year, as well. We have yet to announce the dates, but we will update the page, when we do! We have not selected a winner yet. However, we will make our decisions soon, so stay tuned! The winner has been chosen. We will announce the winner on Twitter soon, so stay tuned! Will the winners of the 2019 Spring scholarship be notified by email when a decision is made? The winner of the 2019 Spring Scholarship has been chosen. We will announce the winner via Twitter, so stay tuned! Hi RG! Has the 2019 Spring winner been announced? Been checking Twitter daily! The 2019 Spring winner has not been announced yet. Please stay tuned for the results. Hello: I’m an instructor at a 2-year college and I’m encouraging some of my students to apply to your scholarship giveaway. However, nothing has been released for a 2019 giveaway yet. Will you still be doing this wonderful activity? Is there an estimated time when you will announce this year’s deadlines and guidelines? We’re happy to hear that you love our scholarship giveaway! If we are holding the 2019 scholarship giveaway, we will announce it later this year. Is this scholarship still available in 2019? If there’s a 2019 scholarship, we will announce it later this year. Please keep an eye out for news. Best of luck! Hi I applied for your scholarship – and I am wondering if a winner was chosen. The winner has been notified already. Best of luck next year!